Hello brothers. Greetings from BCBP Las Vegas Outreach. How can we secure copy of Family Life Manual? Thank you. Hi Bro. I forwarded this to our NSC for Formation. 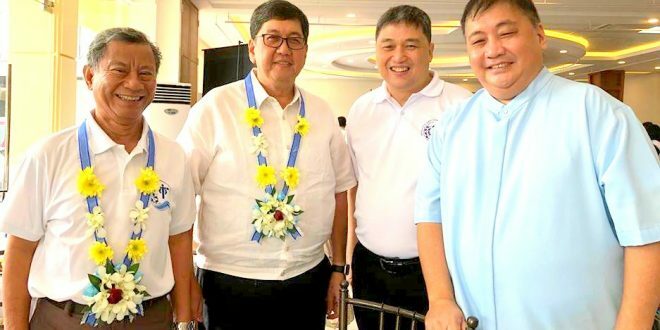 I am Pepe Peñas, BCBP Davao West Formation Director, may we know in detail as to the areas and/or activities under the Family Life Directorate? We will have our Chapter and Outreaches Regional Planning this October 7, 2017 here in Davao City and the information about this new directorate will be of great help in our budgeting. I just read the testimony of Dr. Thank Htun, PhD. /MBA/MAT in today’s issue of Phil Star. Can he really attest to the beneficial effects of MX3? Is Dr. Thank really a member of your brotherhood? How can i get in touch with him please? You can email our BCBP Editor Nancy Catan(jane.russetan@yahoo.com) the write up together with the photos and we’ll post it in the website and facebook. 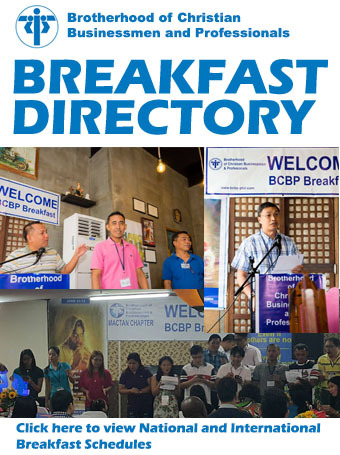 HOW CAN WE POST IN THE BCBP WEBSITE OUR WRITE-UP ABOUT OUR BCBP IMUS 1ST YOUTH BREAKFAST? During the Family Life Directoriate Workshop last March 12, 2016 at The Mills, Canlubang, the participants were encouraged to post family & youth related activities of the chapter here in our website. Please help us post here our write-up & pictures about our 1st BCBP Imus Youth Breakfast.